The National Water and Sewerage Authority (NAWASA) advises consumers from Annandale through to the ENTIRE SOUTH OF THE ISLAND that due to emergency repairs to a damaged water main, their supply will be interrupted until 10 pm today, Friday 3 February 2017. Consumers who are currently with a supply are encouraged to collect and store in clean covered containers to last a minimum of three days. If the service has already been interrupted, we advise that your stored supply be utilized taking into consideration the needs of your families and not forgetting your pets. The Authority apologises for any inconveniences caused and thanks consumers for their patience as we will work towards the delivery of a safe, adequate and reliable water supply. 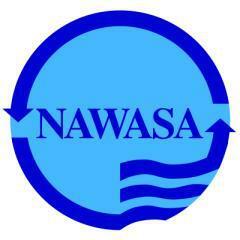 NAWASA… Committed to meeting customers’ needs.